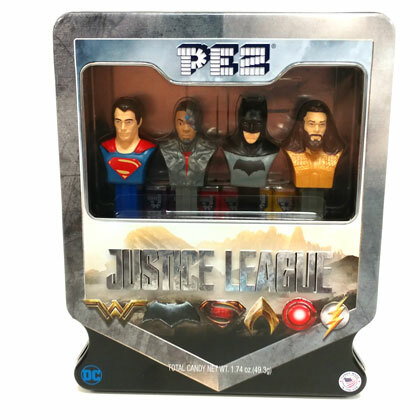 Fight crime with Superman, Cyborg, Batman, and Aquaman in this Justice League collectors gift set. Includes 6 refill packs. Total candy weight is 1.74 oz. Approx. 7 inches wide and 8.5 inches tall.